Ministry of New and Renewable Energy (MNRE), Central Government is inviting application forms for the Rooftop Solar Power Plant Subsidy Scheme. Subsequently social sector and residential users can adopt solar rooftop connections and earn regular income from the power generated. Accordingly, interested users can contact their electricity providers to set up grid connections. Rooftop connections are essential for the bright future of the nation as they reduces pollution to a great extent. 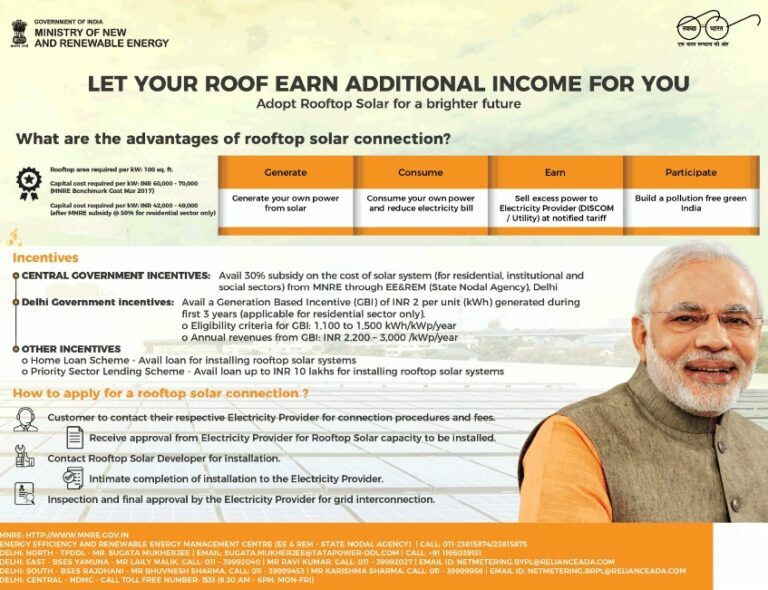 Under this scheme, people will get 30% subsidy on the installation cost of rooftop solar power plant connections. Moreover, people can avail home loans and Priority Sector Lending loans up to Rs. 10 lakh. This scheme will provide a great opportunity to consume their own generated power and reduce their electricity bills. In addition to this, govt. will provide Generation Based Incentives up to Rs 2 per generated unit. Firstly, people have to contact their electricity providers to know the procedure and fees to install rooftop connection. Subsequently, interested candidates must get an approval from the Electricity providers for installation of rooftop solar capacity panel. Accordingly, then candidates have to contact solar rooftop developer to install such systems at their rooftops. Afterwards, people have to intimate the successful completion of installation process to their Electricity Providers. Finally, Electricity providers will carry out an inspection and gives it final approval to provide them grid interconnection. After obtaining grid connection, people can earn money according to the amount of electricity generated through their solar rooftops. Generation – After installation of solar rooftop, people can generate their own power using the energy from sun. Consumption – People can then consume their generated solar energy which will lead to reduction in their electricity bills. Earning – If the generated energy exceeds the required energy, then people can sell this excess energy to Discoms / Utility. These Electricity providers will procure this power at notified tariffs, thus it will act as regular source of income. Participation – Installation of rooftop solar connections will result in reducing pollution to a great extent. Accordingly, people can participate in building a clean and pollution-free India. Delhi govt. Incentives – For residential users, Delhi govt. will provide Generation Based Incentive (GBI) of Rs. 2 per Unit (KWH) which is generated for the first 3 years. 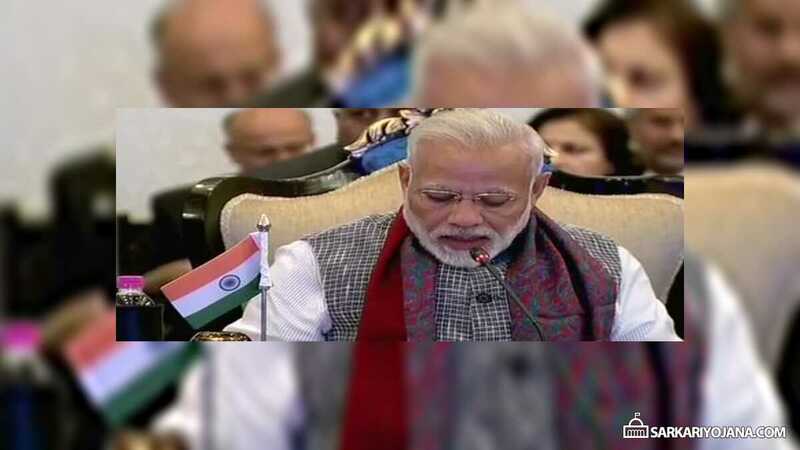 Home Loan Scheme – To install rooftop solar connections, people can avail loans from bank at a subsidized rate. Priority Sector Lending Scheme – Under this scheme, people can take loan of up to Rs. 10 lakhs to install rooftop connections. I want to set-up a on-grid solar plant on my vacant land with the help of MNRE subsidy from the Govt. of West Bengal.How the process of subsidy.Plz tel me.Mob-8436028506/7001875173.Address-Balurghat,Dakshin Dinajpur. I am resident of Village-Alaphsar, Post-Hirna, Via-Beswa, Tehsil-Fatehpur, Distt-Sikar (Rajasthan), contact No 9660501430 would like to install roof top solar plant. Please guide me and direct your representative to contact me regarding this. Subsidy form not available at urja vikas nigam office Jabalpur. Kindly provide as soon as possible.